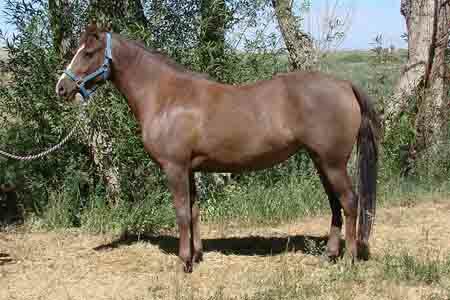 Cream Ridge Arthur, a 7 year old gelding, was purchased by Ken Burton for his 11 year old son, Kenny, to use for 4H and pleasure riding. Congratulations Kenny!! Trailhead Cyrus and Fletcher's Lasso, both gaited Morgan geldings, are off to the Arapaho Ranch in Colorado to be dude ranch horses. 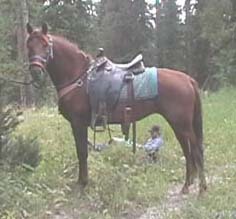 Trailhead Tucoma, above, was purchased by Chris Lawrence in North Carolina to be her first horse after many years of not having a horse in her life. She plans to use her for pleasure riding and do a little showing. 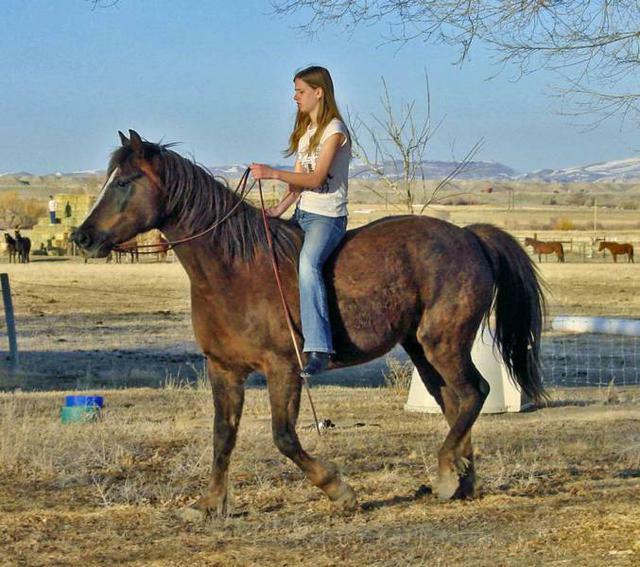 Can-Do Merlyn, left, an exceptionally well gaited gelding out of Mount Chantrelle, was purchased by Dexter Rhodes of Cody, WY, to be a trail/pleasure/hunting buddy. Dexter called me a couple of weeks ago to let me know that Merlyn is by far the nicest horse he has ever owned. He is extremely happy with Merlyn and will gladly share his story with anyone who would like to know about this fine horse. Thank you Dexter! Can-Do Justice and Can-Do Grinin Barrett, half brothers by Trailhead Tucson, were purchased by Randy Wirfel of Gillett, WY. 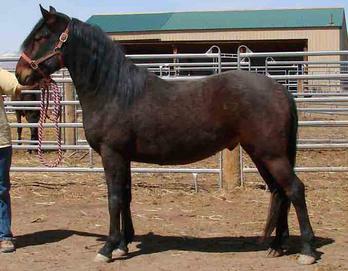 Randy purchased Justice as a four year old and liked him so much he came back a couple of years later and purchased Grinin. 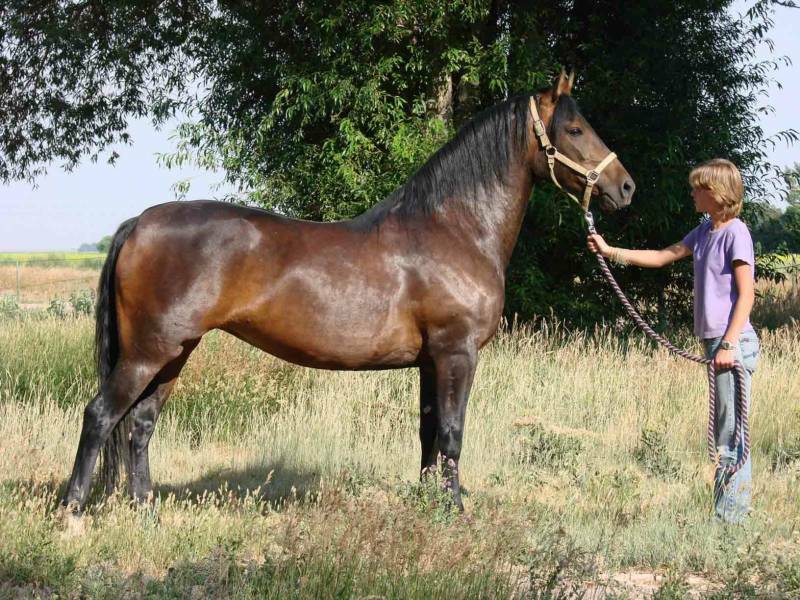 AFS Sir Dallas Ander was purchased by Randy and Cynthia Hansen to be a pleasure horse for them and their children. How lucky can those kids get? 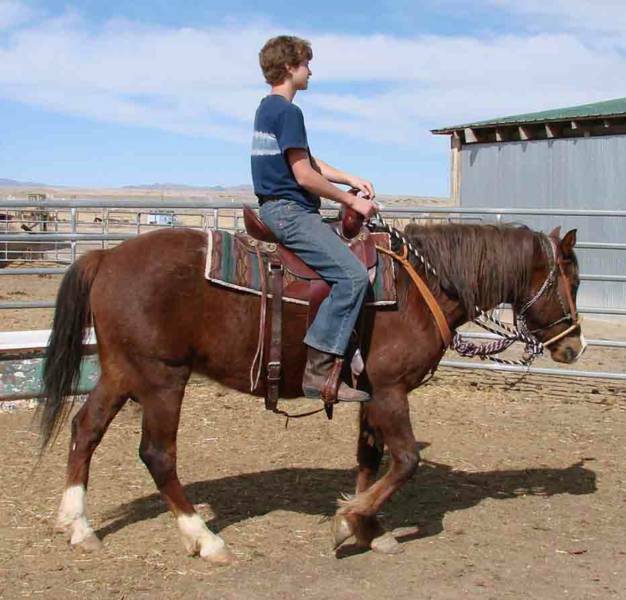 He let me know on his first ride that he saddle Zander and just rode him off like he had been doing it for years. Can't ask for much better than that. 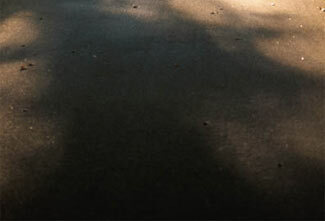 Trailhead Pearl was purchased by Andrea Figueroa of Arizona. 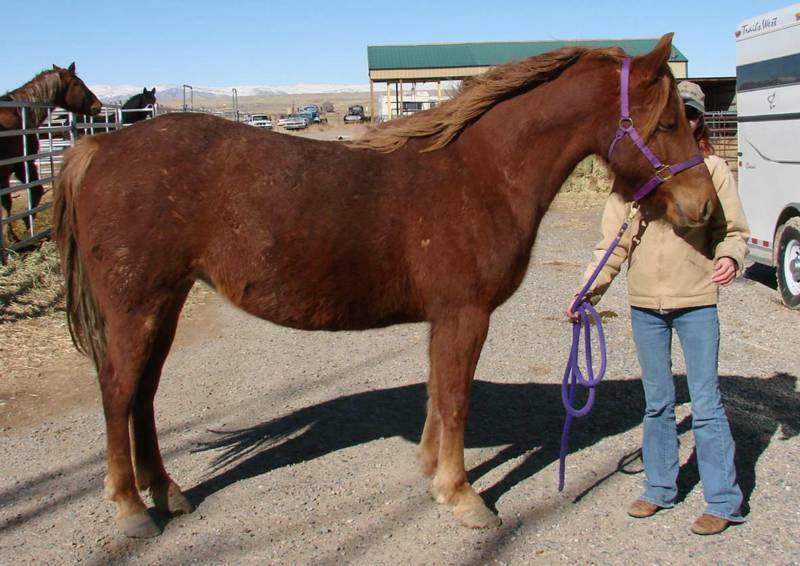 She and her husband enjoy trail riding and participating in parades throughout the year. 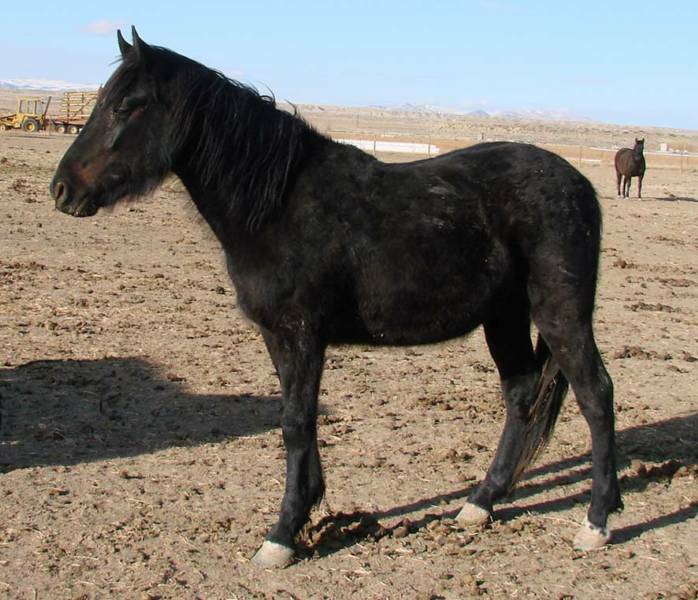 She was looking for a black Morgan mare for her husband to match the mare they already owned. 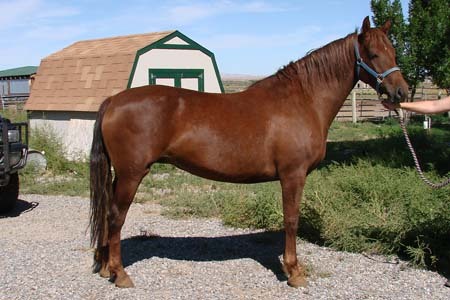 However, it would have to be a special horse because her husband had a replacement hip on his left side. He needed a horse that was 'bomb proof' that could be mounted from the right side because of a loss of strength which goes with that type of operation. Well, Pearl was it!! 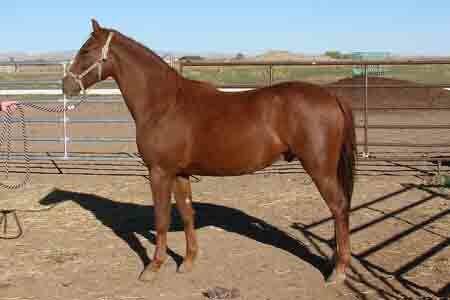 They have thoroughly enjoyed owning and riding this amazing mare. Can-Do Wind Song was purchased by Jil Wickander of Idaho. Jil works for the Forresty Services and plans to use her in rotation with her other mares for job related purposes. 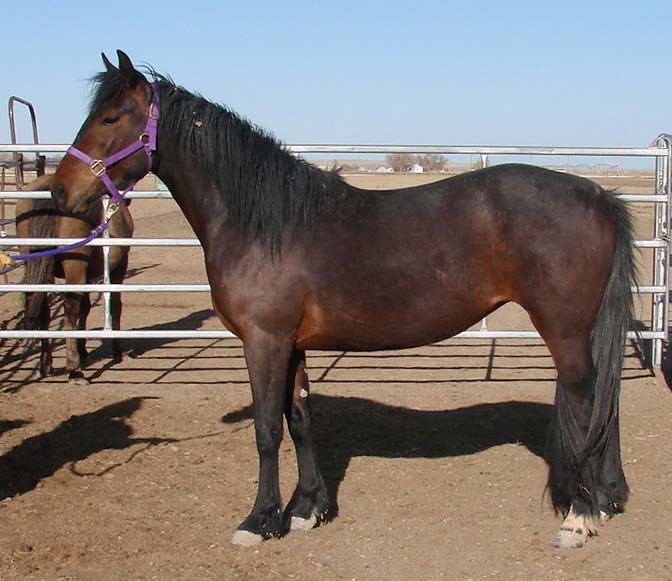 Arapaho Tess was purchased by Dawn DeLong of Wright, WY. Dawn plans to use Tess in her training and riding program as a confidence builder and as a mount for her husband. 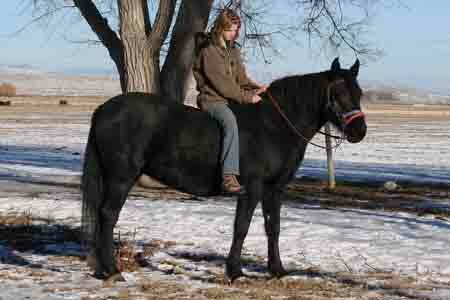 Can-Do SF Peter, and exceptionally well gaited gelding, was purchased by Jared Young of Provo, UT. How excited Jared was to be able to take this horse home!! 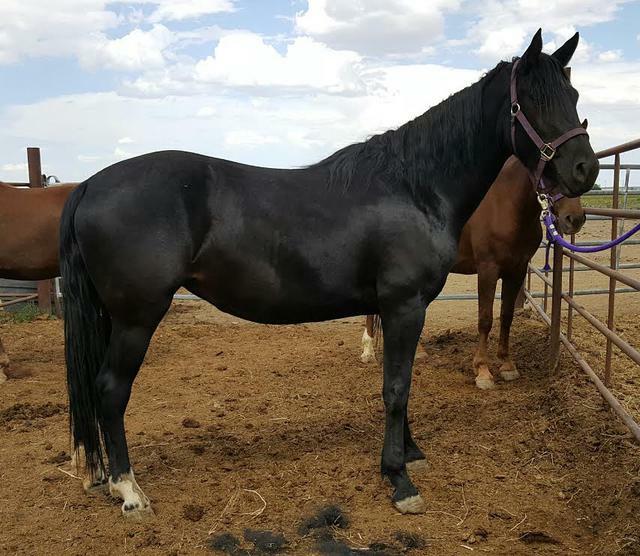 He has been looking for a gaited gelding for his father to replace a horse he lost recently that was very dear to his heart. Jared was really impressed by all the horses here on the farm and plans to come back at a later date to purchase another horse for himself. 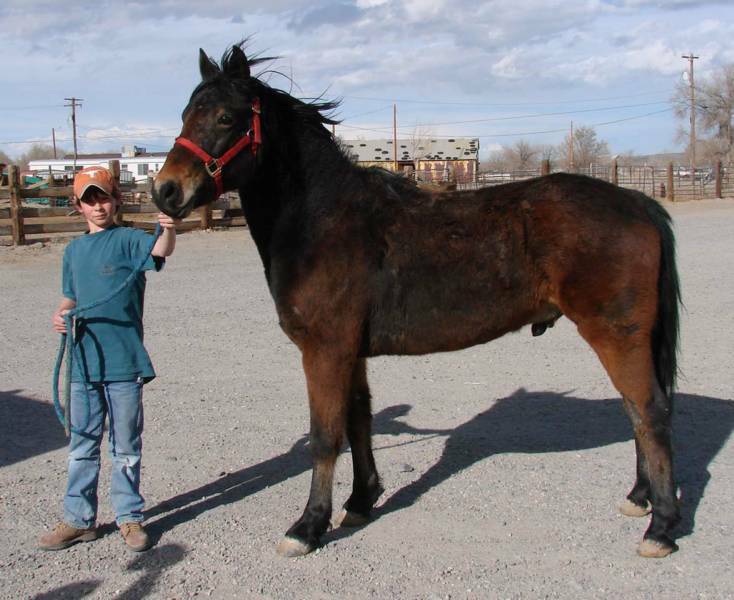 Can-Do Stryder, above, is off to his new home in May, Idaho. 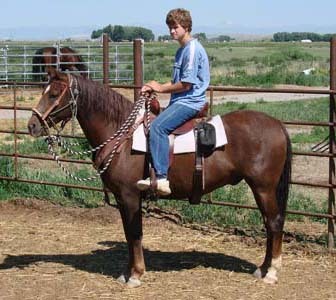 Gary Madsen purchased him to train for his personal saddle horse. Stryder will be used in Gary's Outfitter business. 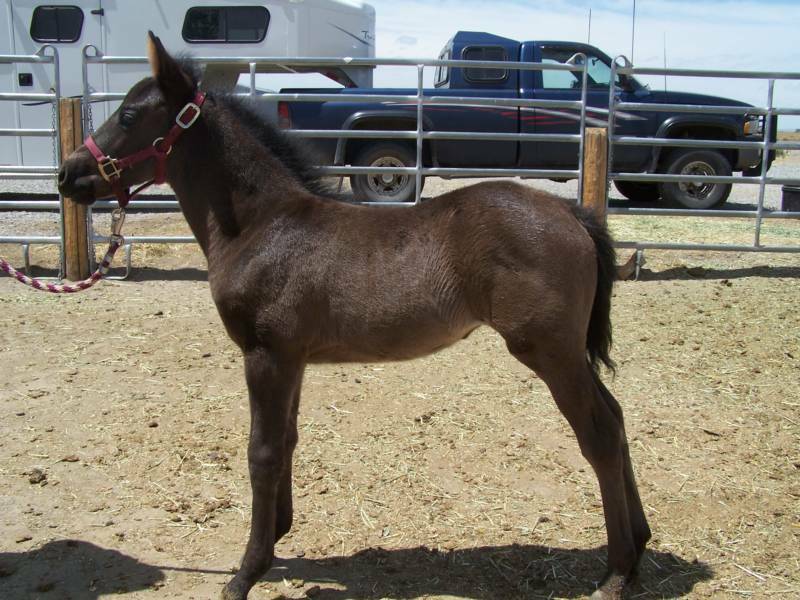 I am sure Gary will enjoy this up and coming colt for many, many years. 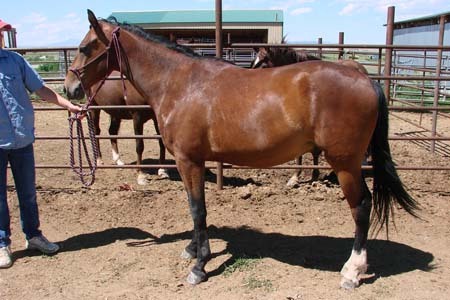 Camas Mist Night Star and Can-Do Nine Joulz were purchased to be used as mountain saddle horses in his outfitting ventures by Jarrod White of Dubois, WY. I just heard from Jarrod a couple of days ago. He has been very impressed with these girls. He told me they have an amazing work ethic that has been wonderful in his line of work in the mountains. He told me that his buddies had been harrassing him about how 'Morgans are too hot headed and don't work well for this line of work'. He says most of them have changed their minds after seeing how these two have worked out for him. Thank you for being brave enough to go against the grain and stick with your instincts on what you know makes a great horse. 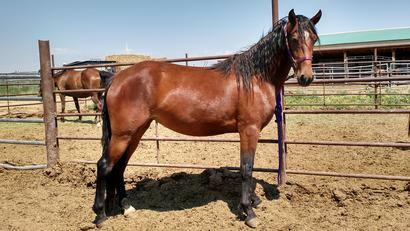 Can-Do Lovin' This and Arapaho Cherokee Maiden - Owned by Rusty Sanderson of Dubois, WY. Rusty truly appreciates the heart and spirit that the Morgan horse posesses. He recently added Can-Do Lovin' This to his base herd and will be using him for packing and riding in the Wind River mountains. He plans on competeing in pack races with both of these fine Morgans and expects to do very well in these competitions. We wish Rusty, Cherokee, and Lovin's the best of luck on their adventures in the future. 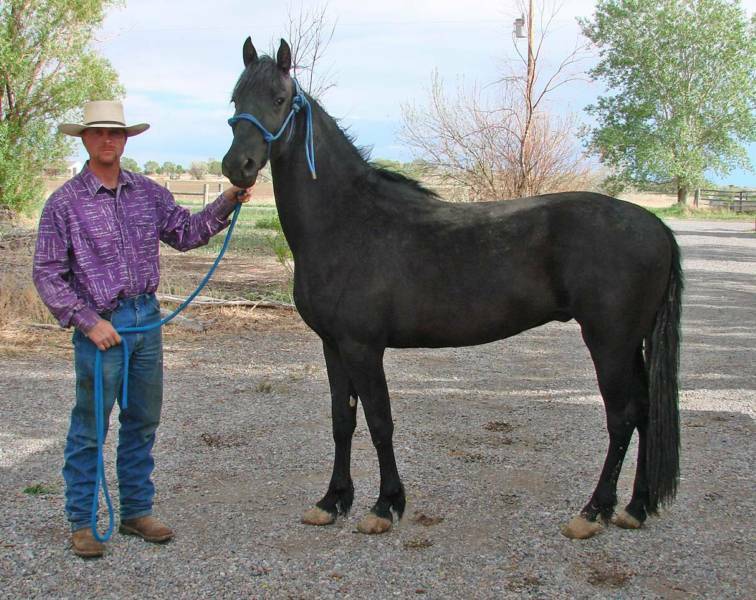 Congratulations to Dan Cockayne of Utah on his purchase of this phenomenal gaited mare, Mount Chantrelle, above. We wish them many great years of riding together and hope he and his grandkids love her as much as we have for these last 11 years. 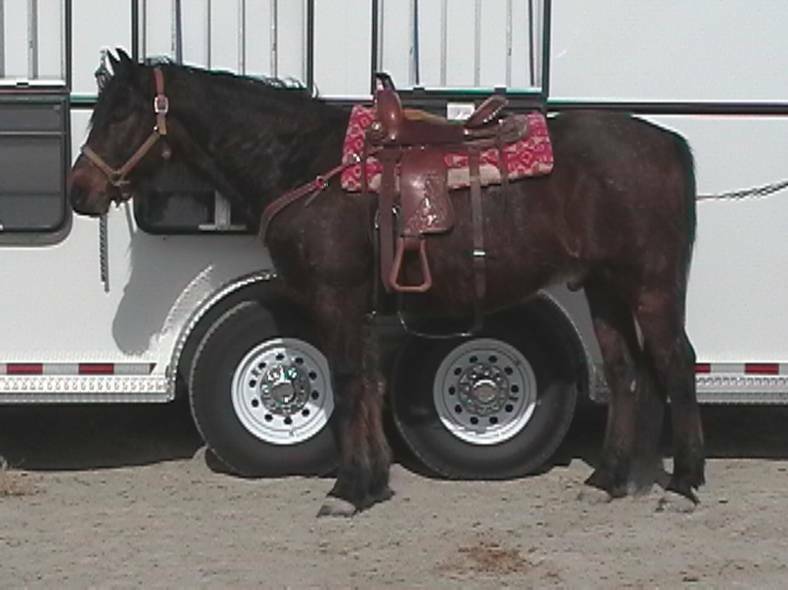 Congratulations to Cody Warren of Utah on the purchase of this lovely big gaited mare, Trailhead Ruby, above. We are confident they will have many great years of riding to come. 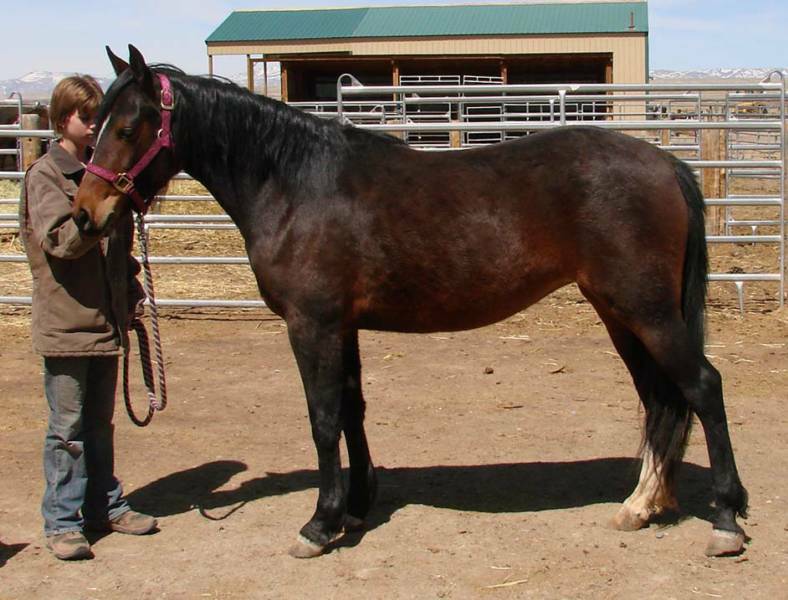 Congratulations to Melisa Hemkem of Lander, WY, on the purchase of this up and coming 3yo filly, Can-Do Starrlet of State, above. 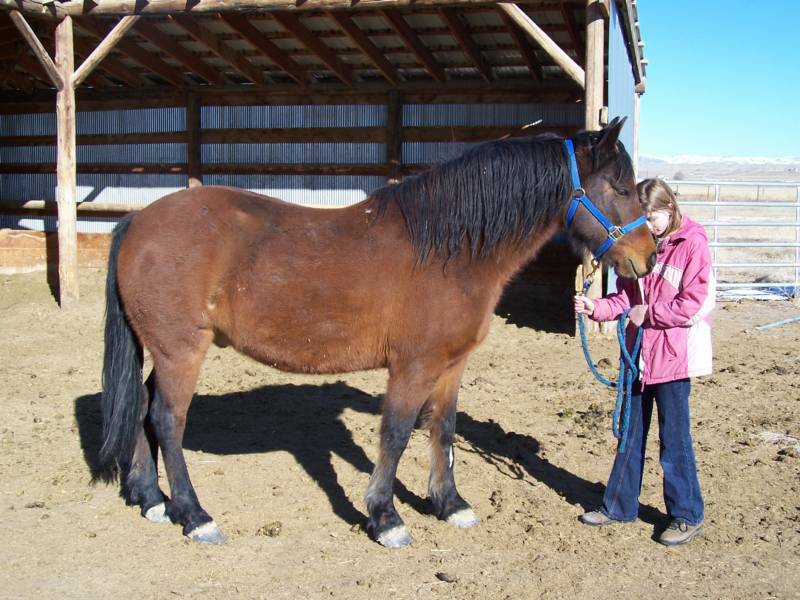 Melisa plans to train this girl herself and use her for ranch work and trail riding. We wish them both the best for a bright future together. We are happy to announce that our first FCR Magic Act filly has gone to Nebraska back to Magic's original breeder, Charles Ramsey. To commemorate this event she has been registered as Can-Do Full Circle in honor of both our farms and the collaboration we share in the love of the Morgan horse. Dexter came to see us again in search of another Morgan and decided on Can-Do Firefox. Thank you Dexter for the return business and we wish you all the best in the years to come with these two fine Morgan boys! 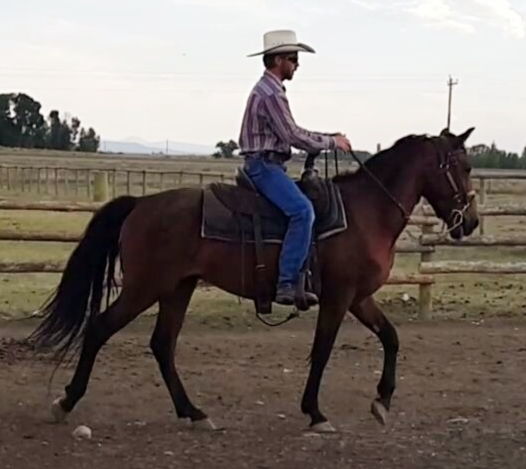 Congratulations to Butch Hanson of Bridger, WY, on the purchase of the super nice, BIG gelding, Can-Do Barneby, pictured here on their first ride. I know they will have many decades of riding in the years to come. Wishing you both the best!! We truly appreciate your return business. 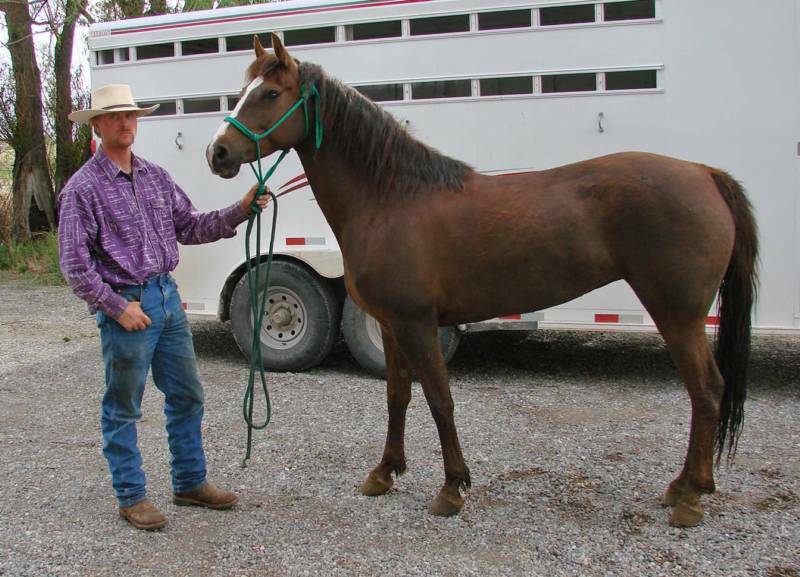 Can-Do Starrbe, pictured here with his proud new owner, Bob Masek, of Virginia. 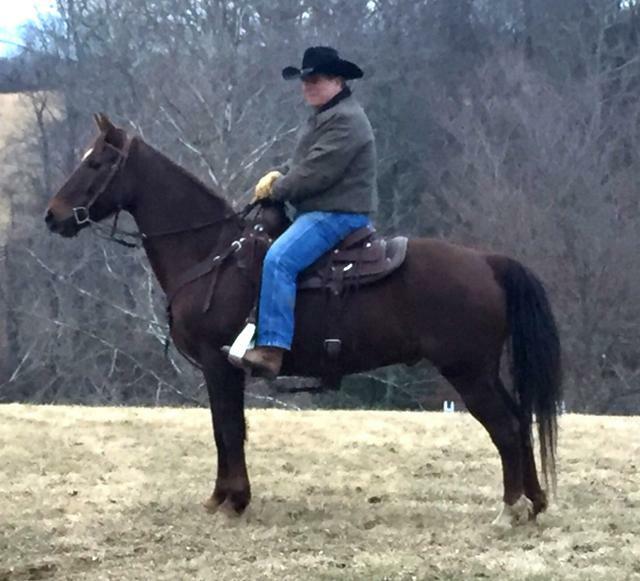 We were so honored to assist Bob in fulfilling his long time dream of owning the perfect Morgan Horse. We wish them all the best in the years to come with many miles of trails and fun in their future. Thank you for contacting us and becoming our friends and partners in the love of the Morgan Horse. Can-Do Myestery has gone off to her new adventure in Montana with her new owner Stacy Bragg. She will be used for trail riding in the mountains and packing. We wish them both the best of luck with their adventures in the future.